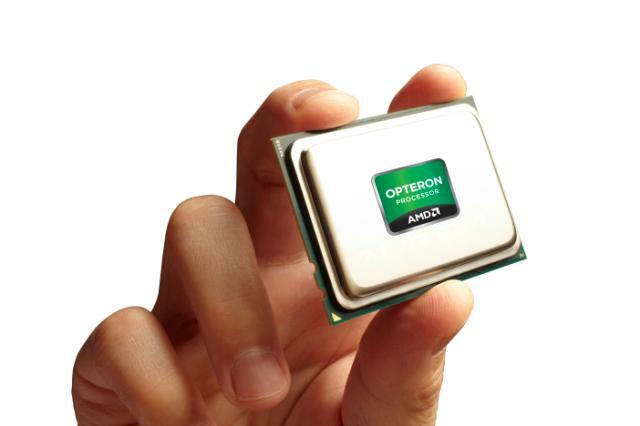 The industry has been talking about them for over a year, and AMD itself held up the launch briefly, but they’re finally here: AMD is now shipping its first 16-core Opteron 6200 CPUs. Codenamed Interlagos, the 16-core units are aimed at the high-end server market, where density, multithreading, and processor efficiency matter most. But the technology puts pressure on other chipmakers like Intel to keep up, and raises the ante from AMD’s earlier 12-core efforts. The 16-core Opterons are 25 to 30 percent faster than than their 12-core predecessors, and use about half the power of their predecessors per core, enabling server and data center customers to pack the same processing power in about two-thirds the rack space. “Our industry is at a new juncture; virtualization has provided a new level of reliable consolidation and businesses are now looking to the cloud for even more agility and efficiency,” said AMD corporate VP and general manager for commercial business Paul Struhsaker, in a statement. Linux and Windows Server 2008 can already be extended to handle 16 cores per processor, and the systems offer distinct advantages to services running heavily threaded applications or relying heavily on virtualization technology. The chips run at speeds between 1.6GHz and 2.6GHz, consume between 85 and 140 watts of power each, and have per-chip prices ranging from $523 to $1,019. Server systems from HP, Acer, Dell, IBM, and supercomputing giant Cray will be among the first to sport the 16-core Opterons. In fact, Cray has just announced a deal with the University of Illinois National Center for Supercomputing Applications (NCSA—the same place that essentially gave birth to Web browsers) to build a supercomputer for the NCSA’s Blue Waters project. That system will have more than 235 Cray XE6 cabinets based on AMD’s 16-core Opteron 6200-series CPUs, complemented by more than 30 cabinets with a still-in-development Cray XK6 supercomputer based on Nvidia Tesla GPU processors. The system will be used for a variety of engineering and science applications and should push more than a petaflop when complete — and there’s nary an Intel chip in sight. The U.S. Department of Energy’s Oak Ridge National Lab is also building another AMD/Nvidia hybrid supercomputer with Opteron 6200s, and that one should manage over 20 petaflops when it’s complete. That would be considerably faster than Japan’s K supercomputer, currently ranked the world’s fastest at 8 petaflops. The Opteron 6200 announcement comes immediately on the heels of AMD announcing it would be cutting some 1,400 jobs in a cost-cutting move designed to firm up the company’s bottom line. AMD’s worldwide share of the processor market sunk to an estimated 5.5 percent during the second quarter of 2011, according to IDC.